Double Twisted Wire Half Cheek Bit with 2 1/2'' Shanks. 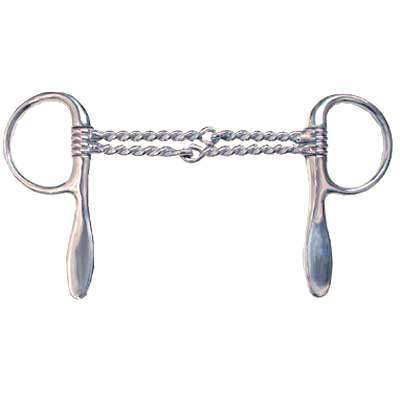 The Double Twisted Wire Half Cheek Bit with 2 1/2'' Shanks that we offer is a top quality item for your horse. This item is made of stainless steel and increases pressure in the horses mouth twice over with double twisted wire. The size of this Half Cheek Bit is 2'' rings, 9mm mouth and 2 1/2'' shanks. If you are in need of Twisted Wire Half Cheek Bits we have just what you need. We only offer the best horse bits for your horses at unbeatable prices.